Did You Discover Your Future At An Exploring Post? Victaulic and the Minsi Trails Council teamed up to establish Exploring Post 1919, offering local high school students opportunities to gain first-hand experience in the field of engineering. On April 18, 2018, students from across the Lehigh Valley gathered at Victaulic for a factory tour to celebrate the first year of Exploring Post 1919. Beginning in October, boys and girls from local high schools came together for hands-on Exploring activities delivered by Victaulic volunteers who love what they do. Students had lessons on topics like engineering design, mechanics, and chemistry before working in teams to complete hands-on challenges. Exploring Post 1919 hosted 52 registered students from Phillipsburg NJ to Allentown PA and enjoyed support from nearly 20 professionals. What Did We Do For Fun? Lean 5S: Using snap-together building blocks, students were taught to analyze process with a focus on continuous improvement. Teams of students competed to see who could build model airplanes while wasting the least amount of time and materials. Truss Bridge Building: Students gained first-hand experience in mechanical engineering by designing, building and destroying balsa wood bridges. The best bridges were those that held the most weight during the destructive testing. Galvanic Corrosion and Di-Electrics: Explorers constructed simple battery cells to determine which combinations of liquid and metal anode would produce the highest current. Chemical Reactions: Using scientific method, students experimented to see which chemicals would produce the strongest reactions and best polish a copper penny. Simple Machines: Rube Goldberg-style machines were the order of the day as students used a variety of materials to construct simple machines that incorporated a minimum of five energy transfers. The final step used the remaining force to push a large red button, That Was Easy! Catapult Challenge: To demonstrate mechanical principles, students combined craft sticks, rubber bands, duct tape, and plastic spoons to propel a ping-pong ball further down the hallway than their competitors. Human Resources and Internships: One activity did not include hands-on learning, but delivered professional development in a different light. Students met with a human resource professional to learn about the importance of internships. During the session, students heard from engineers who got their start through internships and learned about the impact internships can have when applying for schools and careers. Factory Tour: Before the reception, manufacturing engineers hosted a factory tour including a fabrication shop, a research and development lab, and robotic machining stations. Students developed perspective as they observed many of the principals from their classroom experiences applied on the factory floor. Who Knows Engineering Better than Victaulic? As the leading innovator in piping solutions and services, Victaulic hires “best-in-class” engineers from a wide variety of backgrounds and disciplines. It is our pleasure to share our passion for innovation and support students who may one-day change construction as we know it. 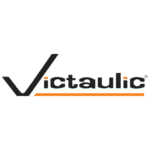 Thank you, Victaulic, for having the vision to invest in our community. And thank you to the volunteers who make the experience fun and exciting for our students. We look forward to seeing everyone again at our next open house, September 26, 2018.